Building Virtual World is a classic course at the Entertainment Technology Center where the students are grouped into teams of 5 and are required to create a virtual world in 2 weeks time. Each round has different constraints and for my first round I had to work with an Oculus Rift and the PS3 Move. 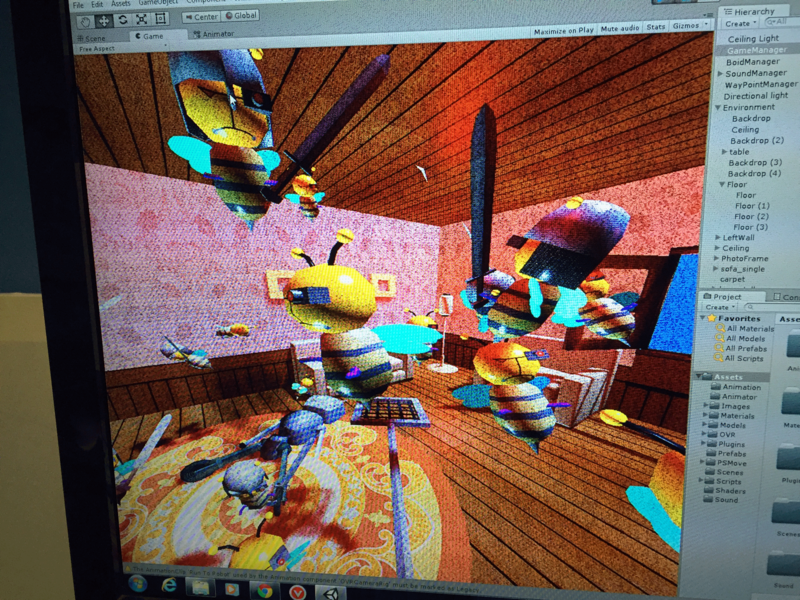 My team and I came up with a bee swatting game and to make it more interesting and challenging, decided to create cyborg bees and we played the role of a robot trying to help our son. The PS3 Move was used as the fly swatter and the guest could achieve full immersion using the Oculus Rift. The game was developed using Unity3D.